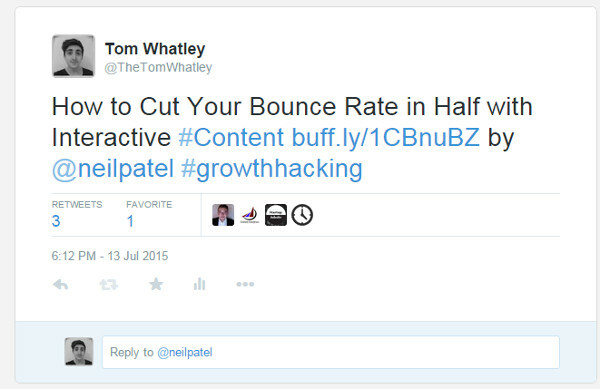 What’s better than (slowly) building your own audience? Borrowing someone else’s. 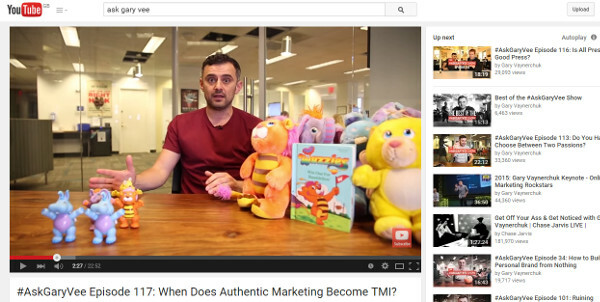 Influencer marketing is a pretty hot buzz word within the marketing industry right now. This is for good reason, as making the right connections with the right people can take your marketing to the next level. The premise is this: build relationships with influential people within your marketplace in order to tap into their audience and serve them with actual value. Effectively Connect with Influencers: Get free access to the influencer marketing checklist, persona template, tracking sheet and email templates. That last part is the most important, and seems to be where many marketers slip up. Every relationship has to be built upon a win-win-win situation. The benefit to you and your organisation must be clear, but it should also make sense to your target influencers and deliver clear value to their audience. You’re probably wondering, “How can I execute a successful influencer marketing plan?” Like most marketing it starts with setting specific goals. 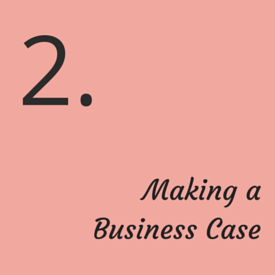 Let’s start with one of the biggest challenges: making a business case. To do this, we first need to know what we’re working towards, which means setting goals. If you’re unsure why you should be executing an influencer marketing plan, what it can do for you or what the overall benefits are, then this section will help you understand. 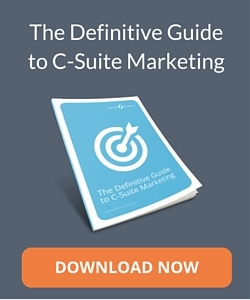 Like all marketing efforts, you need a solid strategy to guide you. This involves setting clear goals to clearly define why you’re executing an influencer marketing plan. It will also help to make a stronger business case, which we’ll get into shortly. Let’s first dig into what you can accomplish with influencer marketing and the possible objectives for your strategy, followed by how to document it. 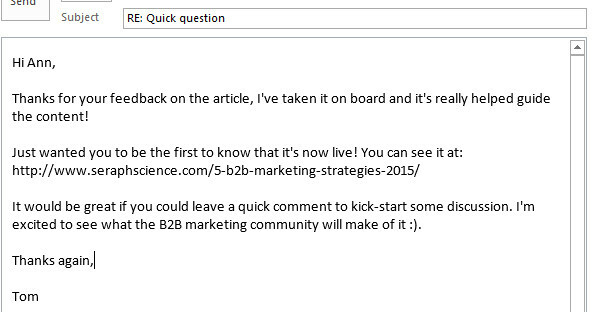 This, as we all know, is the holy grail of all B2B marketing efforts. If lead generation is your end goal then you need to ensure the path of your influencer audiences eventually lead to this. We’ll cover the ins-and-outs of all this shortly, but let’s say you’ve built a relationship with 10 influencers who have a strong Twitter following. How are they going to serve their audience on this platform while driving your lead generation efforts? This could involve utilising them as a distribution channel for your content. Creating a highly valuable piece of co-branded content is also mutually beneficial, as you’ll be sharing audiences in order to do this. 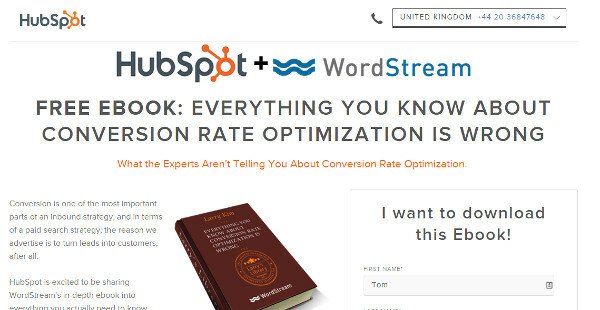 After lead generation comes sales. What will the ROI of your influencer marketing efforts be? Will these efforts lead to actual revenue? This shouldn’t be a top metric that you measure success by in the very first instance, but is certainly something you shouldn’t forget. If the influencer generates leads, but none of those leads turn to sales, then there’s an obvious mismatch between your value proposition and their audience. When I say brand awareness, I mean the number of people who viewed your content, downloaded a lead magnet or viewed pages on your website deeper down the funnel. Even those who bounce shouldn’t be ignored. The gap between branding and data-driven marketing is closing, and thanks to remarketing we can re-engage with those who didn’t connect with us initially. This is something you can keep measuring after the initial engagement. Similar to the above, but in this case we want to measure how far a visitor takes the content you’re driving them to. For instance, you may want to measure how many pages of a website people viewed or how many of them shared your content on their own social networks. The key is in getting clear on these metrics from the very beginning. The objectives I illustrated above are just the most common. You can also focus on client retention, nurturing and even upsell opportunities. Whatever your goals are you must document them clearly. This will not only keep you on the right track but also present a strong business case to senior decision makers. I’ll advise on what you should take into account as we dig deeper into the guide. I speak to a lot of B2B marketers, and when I ask them about their biggest content marketing challenges, a common answer is always getting sign-off from management. Unfortunately, making the business case for influencer marketing will be a similar grind. However, we can be smart and outline exactly why you should be implementing influencer marketing by using data and insight. The first hurdle will likely be in explaining what an influencer actually is. If you can clearly illustrate who they are and why it’s powerful to build relationships with them, half the job will be done. Senior decision makers are busy. Even from a marketing standpoint their fingers can’t be on the pulse at all times. So you need to ensure they have a good understanding of who and what an influencer actually is. First of all, they have a large, established audience. These are people who follow them, are actively engaged with what they put out to the world and have a high level of trust. They trust their recommendations and value their ideas. Because of this, they’re great advisors for your own content creation process. They have their ear to the ground and speak directly to those who you’re trying to get access to. They know exactly what their pains and challenges are. The trust built between them and their audience isn’t something a brand could do easily. Partnering with them gets your message out to an audience with a pre-established level of trust. This isn’t a traditional definition. What we’re doing here is outlining the benefits that influencer relationships can bring. Do this within your documentation and it will help decision makers get on board. We’ve talked about the objectives in section 1 above, but if you’re presenting the case to a senior decision maker then you’re going to need to speak their language. That language is usually insight in the form of statistics and facts. For example, Zuberance recently discovered that offers shared by a trusted advocate can convert 3 to 10 times higher than those sent by brands. Also, Deloitte found that customers referred to brands by other customers have a 37% higher retention rate. If that doesn’t help, then Social Media Today has reported that 74% of marketers around the world have said they’ll use influencer marketing as part of their marketing strategy in the next 12 months. Therefore, you’re going to want to act fast before the approach becomes too saturated. These are all elements you should cover when documenting your influencer marketing plan in order to get senior people on board. They want to know what effects this will have on a strategic level, and this should be sure to do that. We’ve talked a lot about building goals and presenting the business case, and hopefully the further we go into this guide the more you’ll be able to document, however without execution then plans are useless. The rest of the guide will go into how to execute a successful influencer marketing strategy and how to maintain it in the long term. Influencers can come from internal sources as well as external. Depending on your overall objectives, you might find that turning current clients into advocates are the best form of influencers for your strategy. The type of influencer you want to target will depend on the goal. 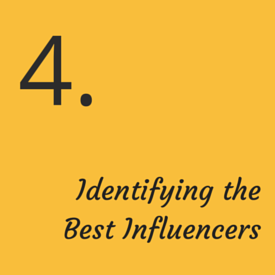 Understanding how each influencer type operates will help you move forward with your strategy. 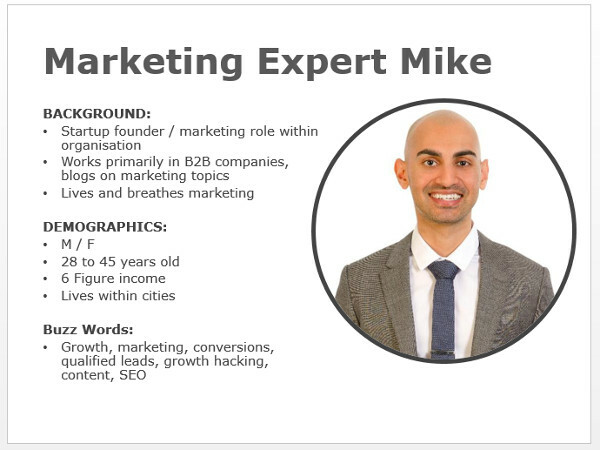 Then, once we know the type of influencer we’re after, we can build personas. They’re the most popular because their profile has been built over a number of years around the advice and value they deliver to their communities. Because of this they have a large audience that trusts them. When working with them, you have to ensure that real value will be delivered to their audience in a way that makes sense. It should be on a relevant topic that’s different or not been seen before. Your customer base are a great source of influencers. First off, you’ve already built the relationship with them. Getting through the door has already been done. This also means you can go further down the funnel. They’re users of your product or service and can share the great experience that they’ve had with you to their own following. Typically, you would aim to build relationships with several bloggers, as audiences sizes may vary. You’ll also only want to target bloggers who are creating content on a very regular basis. Much like industry experts, these guys will only want to add value to their audiences. In most cases a co-marketing effort might be most beneficial to them. Who are you already partnered with? Which of your suppliers (and, again, clients) do you have good relationships with who also have access to the audience you want to address? Personally, I find the conversations with these potential influencers are quite candid. You can quickly and easily get to the point and figure out a strategy that would be beneficial to both of you. People inside of your own organisation can collectively make up a large audience. They’re also excellent sources of content creation, as many have relevant expertise and some even work face-to-face with your audience every day. The incentive here will be vastly different to most external sources, but can tie closely to your company culture. Find ways of encouraging employees while adding the enjoyment and professional perks of working with you. Now you have this understanding, it’s time to choose a route. If your goals tie closely with content distribution, then most of these will be applicable, but you’ll want to pay special attention to industry experts. Perhaps you want to set up a co-marketing campaign? Suppliers and bloggers may find this most beneficial. Whoever you’re targeting, you need to document as much as you possibly can about them. 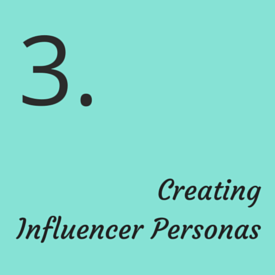 Influencer Personas look very similar to buyer personas. The only differences are that we’re not trying to sell them our services and, most importantly, we need the right information on their audiences as well as themselves. Background: Where do they come from? How did they get into their position of influence? This can include both personal insight as well as information on their career. Demographics: This one is self-explanatory. What is the average age, gender and income of these influencers? The more information you can fill in, the better. Buzz Words: What are the words they often use that can help you target them? Identify words that are in vogue as well as those that are common as part of their profession. Goals: What are they trying to achieve personally and professionally? Include information on the different ways they serve their audience. Challenges: What are they trying to overcome? Again, this should include information on both a personal and professional level. Mannerisms: Do they use kind language? Are they professional yet friendly, or is the tone more “official”? Try to include how they are in real life on a personal, one-to-one level. Mediums: If they’re bloggers, what do they write on? What social networks can they be found on? Do they speak at particular events? Document the different forms of content they output to the world. Contributed Publications: Do they write for Forbes, or perhaps other blogs within their industry? Are you both contributing to the same publication? Wherever they’re writing, make a note. Avg. Audience Size: How big are their audiences? Are you targeting several bloggers with audiences of 500 to 5000 people or industry experts who have a following of 500k plus? Benefits of Working Together: What are they going to get out of partnering up with you? How does this tie in with their challenges and the needs of their audience? Be benefit driven here. The best way to get this information is to start a conversation. Get involved in their world and try and build a relationship up front. We’ll be going in to the best outreach approach shortly. Now that you know the characteristics of your ideal target influencers, it’s time to identify them. Let’s go in to where the different kinds of influencer can be found and how to identify those that are well worth your time. Not all influencers are equal. Some will be significantly more valuable to your marketing efforts than others. You’ll need to be very selective in your process and choose quality over quantity. It’s much more efficient to focus on a handful of strong influencers and go deep in your relationship building. As we identified above, there are many different kinds of influencer and you’ll need to identify them differently to one another. Chances are these are the ones you’re most interested in targeting. They have huge audiences with people that trust them. Building relationships with the right influencers who have an audience of reputable size can really move the needle for you. The top 3 or 4 results seem to have the best lists. For the sake of this example, our objective is content distribution and co-marketing, so we want to focus on the influencers with the largest audiences. Most articles will have the influencers’ Twitter handles listed next to them. If they don’t have a Twitter account then you should probably exclude them from your list. I’ll put the details of each influencer in my influencer tracking sheet. Download it here along with all the other resources that come with this guide. This is fairly basic information, yet the most difficult one to uncover will be their email address. There’s a trick we use to finding the best email address for influencers. Rob Ousbey wrote about it over on the Distilled blog which I highly recommend. 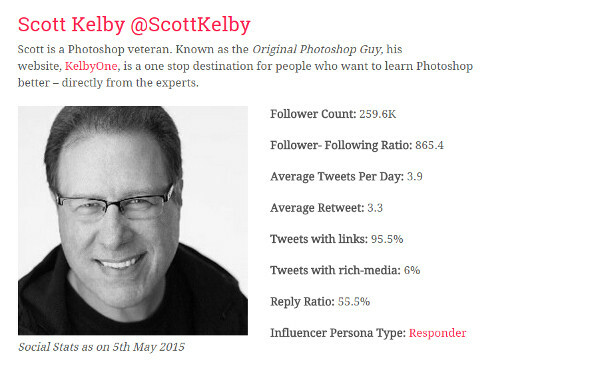 This is the simplest and most straightforward method of finding the best expert influencers. If you already have your finger to the pulse of your industry then this will likely be a lot easier for you. 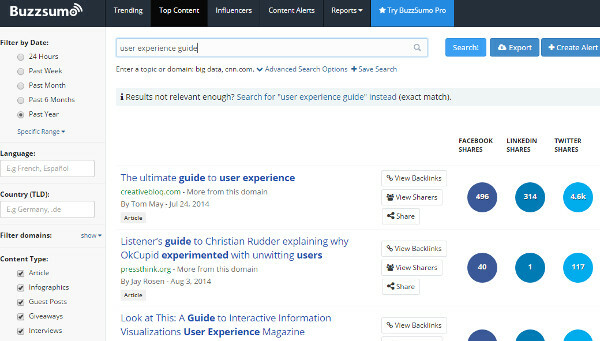 BuzzSumo: a great tool for finding popular content around a certain topic. Type in the topic in their search bar and it’ll show you the most shared articles on that topic. Collect the names of the authors and voila, you have some influencers. 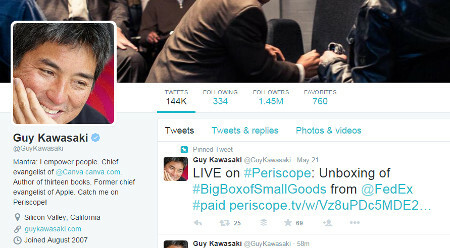 AllTop: by Guy Kawasaki, this is a collection of the top blogs in any industry. 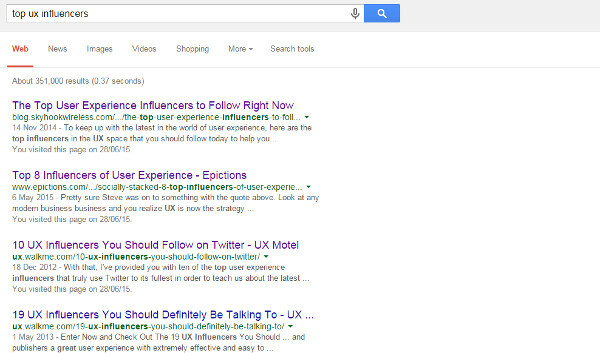 Type in your industry within the search bar and find those with the most followers. Klout: a tool that ranks social profiles by their influence. Sign in using Twitter and search for relevant keywords. 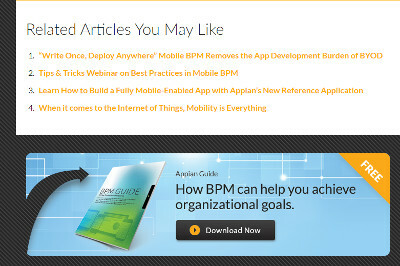 It will show you the latest and most popular articles as well as the top related experts. Whichever approach you go for, make sure you identify the most relevant influencers. They should have a large following and also produce great content – you’ll see why this is important in the next step. Identifying the best clients and turning them into advocates can be a great engine for driving middle-of-the-funnel (MOFU). Enabling them to do so, however, is the challenge. Therefore, you want to identify the advocates that have had the most success with you, have a large following and are willing to join you in a face-to-face capacity. For Seraph Science (and for our clients) these face-to-face engagements come in the form of a dinner. Because we’re targeting the C-Suite, this is the best environment to bring them into. You can download our eBook for free to learn more about this. As part of the case study survey, ask them if they would be willing to join you for such a dinner. The incentive for them would be to connect with similar people in their industry, share ideas and have their assumptions tested. It’s a way of discovering the clients that are most valuable to you. Using NPS allows you to categorise clients by detractors, passives and promoters. Identifying the promoters allows you to hone in on those clients and recruit them as advocates. For more on NPS, check out this article from Medallia. You likely have several employees that have their own expertise. 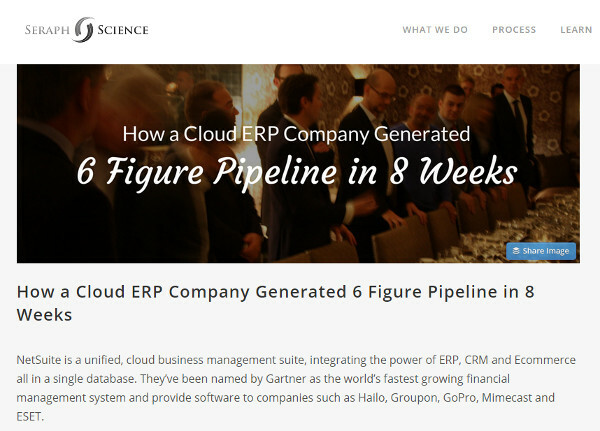 They work directly with your products, services and customers on a day to day basis. Therefore, they are the perfect contributors to your content strategy. Not only that, many of them (especially those in a senior role) have likely bought their own audiences into your organisation along with them. When it comes to content, we take a deep approach as opposed to a wide one. However, encouraging people within your organisation to create content and to take responsibility of distributing it themselves can’t hurt. We outline an approach like this in our sales enablement content guide. It dives into how to elicit content ideas from your sales teams. Content, however, doesn’t have to stop at your sales teams. Encouraging your employees to create their own content is a win-win. You get relevant content that only needs to pass an approval process while they get to position themselves as thought leaders and can help to advance their careers. Once you’ve got the influencer marketing tracking sheet filled out with the influencers you’re targeting (although you shouldn’t need to do that with your internal team), we’ll need to reach out to them. But first, you need to create something that they’ll actually care about. This is key. Influencers aren’t going to want to share junk with their audience. They’ll want to serve them with truly exceptional value. This isn’t a guide on creating content, but there are some approaches we use with great success that can be used as part of your overall influencer marketing strategy. I’d like to share an approach we use for creating content that’s worked extremely well for us. It’s quite opposite to what most people do in that we go deep on one piece of high quality content, as opposed to publishing “great content” regularly. I believe by sharing this approach may help you to re-think your content marketing strategy and provide you with some new tactics to test with. The term, originally coined by Brian Dean of Backlinko, relates to finding a popular piece of content that already exists and improving upon it. Use tools such as Google and BuzzSumo to find content that has done very well on a certain topic. Find the most shared and linked-to pieces of content and look for ways that it can be improved. This could be adding more detail or improving the overall experience of the content. Publish and then focus on promoting and distributing that content. By building influencer personas, you know the challenges of your influencers’ audience and the topics that interest them. You can use this along with the skyscraper approach to create content that will really blow your target influencers away. BuzzSumo, as I’ve mentioned several times during this guide, is a fairly powerful tool to find content and ideas that you can build upon and improve. Remember the win-win-win scenario that I talked about near the beginning of this guide? Co-marketing is probably the best way to create content that allows this. The idea behind co-marketing is to create a piece of content that both you and a particular influencer have created together. It can be co-branded under both of your organisations or as individuals. Try experiment with both of these approaches. If you’re already creating content then you should be able to quickly test the skyscraper technique. As your relationships get stronger, experimenting with a co-marketing campaign will be well worth testing. By now you should have a good list of influencers you would like to build relationships with. The next step is reaching out to them. Getting their email and simply asking them for a favour won’t work. If you’ve done your targeting right then it’s likely that these people get requests on a daily basis. Therefore, we need to be a bit more intelligent with our approach. Instead of just reaching out for marriage before the first date, we’re going to nurture them and do them some favours first. They say it takes 7 touch points for someone to pay attention to you, and connecting with influencers is no different. It’s an arbitrary number, of course, but for this purpose it works very well. You can do multiples of these, as long as you keep it varied and there are at least 6. Touch point number 7 will be a very low pressure email. I’ve included this script in the bonus resources download, although I would suggest you try and create your own approach that align with your own objectives. Going back to your influencer tracking sheet, you’ll notice there are columns that are categorised by colour codes. The dark blue fields are for this initial outreach. This is where we “tally” the amount of times we’ve done each touch activity (no more than two for each). These should all add up to 7, including the personal email. Once the personal email has been sent we measure the relationship building activities, categorised in light blue. 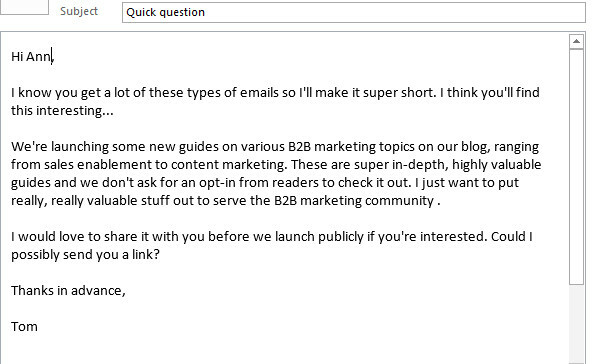 In our initial email, we asked them if they could give us feedback on our content. Here we want to track how they’ve responded. Here, you’re letting them know that you’ve taken their feedback on board and have amended accordingly and asking them if they’d like to share it with their audience, as well as commenting to get the conversation started. We typically see around 70% of the influencers we’ve connected with will share our content during the first round of engagement. For those that do so, we send one last email asking if we can add them to our “inner circle” list. This is a list of people who get access to content before it goes public. As you can see on the tracking sheet, it’s good to track how many comments and subscribes each influencer generated. This is easy to track if you use a unique URL for each influencer, which we’ll get into shortly. 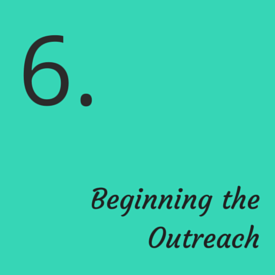 Depending on your objectives, the content and the messaging for this outreach will vary. Whatever it is you’re achieving the principle is the same. You need to get on their radar and nurture a relationship before getting to ask them for a favour. Nurturing those relationships doesn’t stop with the outreach. You want to maintain a good relationship with these influencers as, although they might be on board and on your “inner circle” list, they won’t pay attention forever. As I said, you need to maintain a relationship with the influencers you’ve connected with long after your objectives have been met. If your efforts have been successful, and they’re scalable, then these relationships have the potential to be valuable for some time to come. There may even come a time where influencers will come to you for a favour. When this happens, just do it. Forget about business case or “what’s in it for me”. This is the way you build great relationships with important people in your industry. Most influencers are influencers because they put great content out into the world. They’ve built their audiences this way and continue to attract new advocates. Just because they’re doing well, doesn’t meant they don’t need a hand every now and then. Sharing their content out through social media – especially Twitter and LinkedIn – can go a long way. If you’re already on their radar they’ll surely take notice. Providing a link in one of your articles to a relevant piece of content can help even further, and also gives you an excuse to get in touch. All you need to do is send them an email giving them a heads up that you’ve linked to it. Most of the time they’ll give you a “thanks”, and they’ll definitely remember it. These influencers are likely running their own businesses while maintaining their online presence. Like most successful businesses, they’ll eventually be picked up in the press for something newsworthy that they’re doing or will tease new products or services to their audience. This is your chance to step in and be a hero. Sending them a quick email asking if there’s anything you can do to help spread the word on these efforts will make their day. They likely have a lot of moving parts and marketing activities for promotion, but someone coming in and saying “Hey, I noticed you’re doing this – can I help by sharing out to my followers / promoting on LinkedIn etc.” will really make their day. Again, you’re not asking for anything in return. Offering to help, and actually delivering on that promise, will make these influencers absolutely love you. And that’s the type of intimate relationship we want with them. We mentioned the benefits of co-marketing earlier. You create a valuable piece of content, such as an eBook or webinar, and brand it together with an influencers. This particular objective would usually require some forethought and some nurturing, but as you’ve already got a relationship going with an influencer why not just do it anyway? The concept is simple: you’ve created a great piece of content that happens to be relevant to the audience of an influencer. Contact that influencer and ask them if they’d like to have their name added to it. All you want in return is a shout out and maybe even an email to their list, and you’ll do the same. They’ve not had to create any content and receive promotion to your list for basically no effort. Of course, they’re going to want to see the content before they give approval, and expect some editorial feedback. But for the sake of gaining access to someone else’s list it’s well worth it. Doing these things on an ongoing basis can maintain and strengthen your influencer relationships. 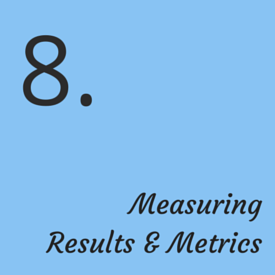 There’s one final piece to this process, as like all marketing efforts, we need to measure what we’re doing. Although it’s important to pay it forward and maintain good relationships with influencers, we still need to treat these activities like any other marketing strategy. The 80/20 rule is prevalent in all aspects of sales and marketing and you’ll find this is still true with influencer marketing. Just like when you made the business case, you’ll need to make a case to continue these efforts. Unfortunately, not all influencers are made equal. Some will simply drive far more results for you than others. This is why it’s important to a) build relationships with several influencers for scalable activities or b) select carefully when doing things like co-marketing. Just because an influencer doesn’t bring in as many results as another doesn’t mean you should stop engaging with them. Serving people (see above) and helping them out while aligning them with your own objectives will always pay back in dividends. So how do we measure these activities, and what do we do with the data? Let’s go in to effective ways of measuring first and then the decisions you should make with this data. To be perfectly honest, the way you track your influencer marketing efforts isn’t much different to how you track other marketing efforts. Oftentimes though, we let the simple things fall by the wayside. Engagement – such as comments, likes, tweets etc. 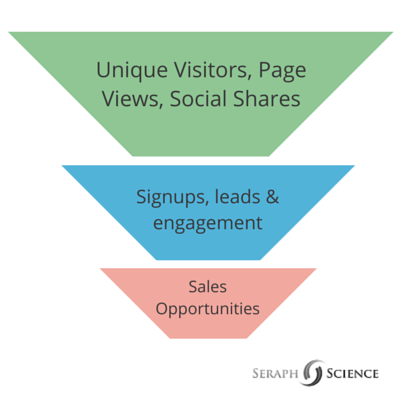 Basically, you want to measure the top all the way to the bottom of the funnel. The things we track in the first instance are the same as those listed on the tracking sheet you downloaded earlier. You should keep tracking those initial metrics from the tracking sheet, but be sure to keep an eye on backlinks, sales etc. further down the line. You’re probably asking how you keep track of all this, and how you attribute it to each influencer. The answer is in UTM codes. This guide on UTM codes will help you get started. A UTM code is a unique URL that have added parameters for extra segmentation, which is all tracked within Google Analytics. By giving each influencer an individual UTM code, you’ll be able to attribute your key metrics to each of them, measuring the results each influencer brings you. Now you know how and what to measure, what do you do with the information and data you yield? 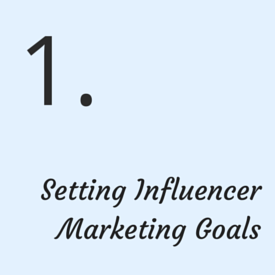 At the beginning of this guide you made a business case for influencer marketing. As with all things, you should test first, measure your results and then scale. So, how did you do? Have you seen indicators of success in order to carry on? Are you in a position where you can confidently scale up and build relationships with more influencers? I mentioned the 80/20 rule earlier. 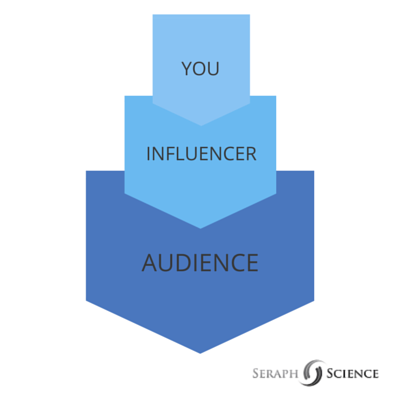 You’ll see that the majority of your results will come from a small segment of influencers. This is fine, so don’t neglect the bottom feeders, but do keep an eye on those who might not be doing anything for you at all. In other words, if an influencer has been engaging but not executing then don’t worry too much about them. Some people are busy and it may be best to move on. Give extra special attention for those that really do drive the needle. See section 7 for more on this, but basically treat them as if they’re your best friend. Depending on what your objectives are, you’ll want to course correct accordingly. For example, you might want to run a few co-marketing campaigns before you hit the sweet spot. When it comes to scalable operations, such as content distribution, then one initial test can usually do the trick. If you got this far, then it’s likely you already knew about the many benefits of influencer marketing. Hopefully this guide has given you enough to connect the dots on how to execute on it. We’ve talked a lot about testing, metrics and techniques. This is a marketing strategy, and so measurement is important. But never forget that you’re dealing with humans. They have challenges, needs and a very vigorous filter just like you and I. 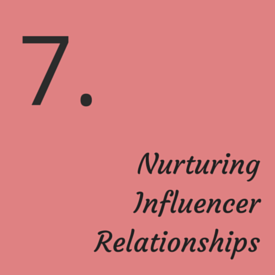 If in doubt, head back to section 7 for ways on nurturing, otherwise treat influencers how you would your own clients. Make them feel special, take them out for coffee once in a while. These relationships will not only serve your organisation and professional life, but likely your personal life too.